Michelle Chui, associate professor and vice chair of the University of Wisconsin–Madison School of Pharmacy’s Social and Administrative Sciences Division. Human Factors engineering principles — such as measuring and modeling the performance of work systems— can be applied to a wide swath of fields as a way to identify and act on opportunities to improve. Health care delivery is no exception, and it’s a growing area of research geared toward improving patient safety. 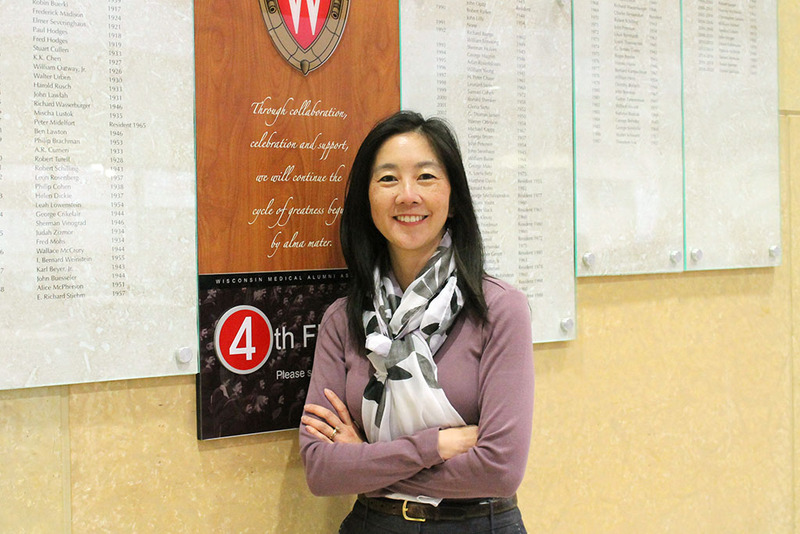 Michelle Chui, associate professor and vice chair of the University of Wisconsin–Madison School of Pharmacy’s Social and Administrative Sciences Division, is one of the researchers leveraging engineering principles to study medication safety strategies and issues in pharmacy. Her ongoing work in this area and her years of service to the American Pharmacists Association (APhA) have earned her a national honor: Chui is being inducted as a 2019 fellow of the APhA’s Academy of Pharmaceutical Research and Science (APRS). “Many of the past fellows are individuals who mentored and encouraged me in my own career development, and I am very grateful to be counted as one of them now,” says Chui. Chui has been deeply involved with APhA for decades, including being chair-elect of the APhA-APRS’ Economic, Social and Administrative Sciences (ESAS) Section for 2017–18. In that role, she worked to create a bridge between scientists and practicing pharmacists to implement successful evidence-based programs, target research to reach stakeholders who can advocate for the role of pharmacists in the health care system, and develop a stronger infrastructure to mentor the next generation of scientists. In addition to serving on the APhA-APRS executive council, she also served on the ESAS Methods Committee, Colleagues in Research Planning Committee, the Strategic Planning Taskforce, and the 2018 screening committee for the Wiederholt Prize, which recognizes the best paper discussing economic, social and administrative sciences published in the Journal of the American Pharmacists Association — regarded as one of the top honors in the field. Continuing her devotion to advancing research, she is also a guest editor for a special issue on medication safety and a reviewer for the Research in Social and Administrative Pharmacy Journal, where she was selected as a Top Reviewer in 2016, based on the promptness, number, and quality of reviews completed with emphasis on accuracy, thoroughness, and professionalism. At the School of Pharmacy, Chui recently led the relaunch of the Sonderegger Research Center (SRC) for Improved Medication Outcomes. As director of the SRC since 2017, she is facilitating increased collaboration between researchers, practitioners, community members, and policymakers across the state of Wisconsin to translate research findings about medication use into daily practice. Chui herself has authored over 50 papers published in peer-reviewed journals and is currently researching the implementation of CancelRx, an e-prescribing tool built by the National Council for Prescription Drug Programs (NCPDP) to automatically notify pharmacies of discontinued prescriptions, at UW Health. Associate Professor Michelle Chui at her APhA fellowship induction. When it first got underway in 2017 with funding from the Agency for Healthcare Research and Quality (AHRQ), her CancelRx research was one of the first to analyze the tool, comparing data from Epic health records and pharmacies, as well as conducting site visits to see how it impacts workflow and how practitioners adapt to issues as they arise. Since then, Chui has secured three more grants to expand the scope of the research. “This project has really taken on a life of its own,” says Chui. The first of these three grants was from the Gordon and Betty Moore Foundation, funding a project in collaboration with the UW Health Transplant Clinic, where medications are continually monitored and changed. “We are utilizing the data collected by the initial AHRQ grant to develop, implement, and evaluate an intervention to improve CancelRx adoption,” Chui explains. The UW Fall Research Competition awarded her funding to look at the unintended consequences of the tool. “Consider the autocorrect feature when you’re texting,” she says. “Sometimes you write something it autocorrects to something unintended, but you’re going fast and are doing three things in a row, so you accidentally send the wrong message — that happens all the time, right?” This new layer of her research will look at whether CancelRx is supporting their work and making it more efficient, or is introducing the possibility for new errors. The NCPDP Foundation also awarded Chui a new grant to examine how CancelRx impacts controlled substance prescriptions — especially as it pertains to opioid medications. In addition to Chui, UW–Madison School of Pharmacy alumna Jeanine Abrons (MS ’08) will be honored at the 2019 APhA meeting in March. Abrons is being inducted as a fellow of APhA’s Academy of Pharmacy Practice and Management. See all of the 2019 APhA Fellows. Learn more about Dr. Chui’s research into CancelRx and her work relaunching the School of Pharmacy’s Sonderegger Research Center.